This T-SHIRT, I have been waiting to wear it for a LONG TIME, but last time I went to the beach it was to much for the hottest weather we have in Ecuador Coast, but today I thought was a nice day to throw it on with these white shorts my favourite ones some gray socks and these pretty mathafackas STAN SMITH. I really hope to post more ofte before my HOLIDAYS get over, on FRIDAY i will try to upload another OUTFIT. 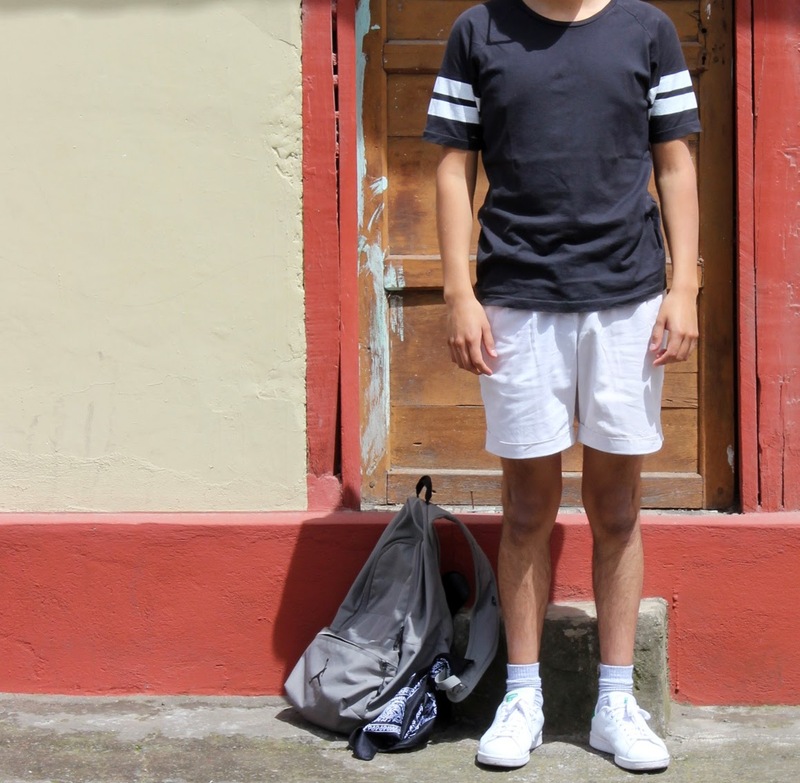 Esta CAMISETA había estado esperando MUCHO TIEMPO por ser usada, y la última vez que fui a la playa era demasiado por el calor que tenemos en la Costa ecuatoriana, pero hoy pensé que era un día chevere para usarla, con estos SHORTS blancos que me gustan full unas media grises y estan ZAPATILLAS hijas de su madre.